I recently installed Notepad++ v6.6.6 (On Windows 8 x64) and associated file types. 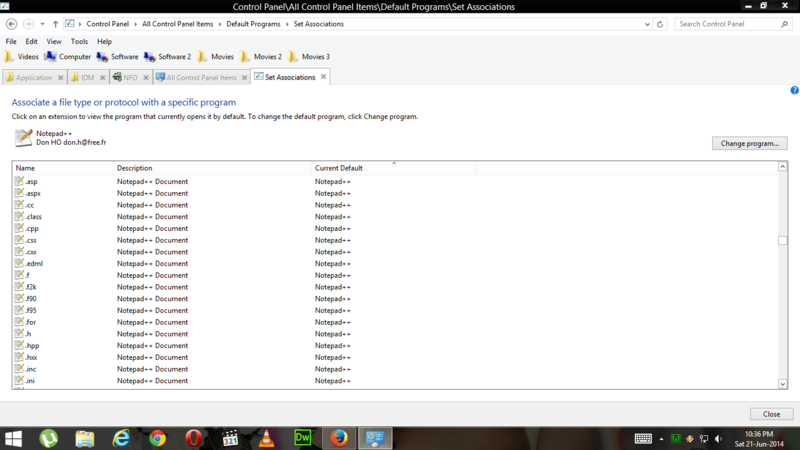 The installer changed file type description of every associated extension to Notepad++ Document. I tried FileTypesMan but when I change description of 1 file type it changes all file type description. For example, when I change txt file to Text Document it changes all ext. associated with notepad++ to Text Document . I'm willing to change every file type description by hand. If you find the entry for that in HKCR, e.g. You'll see the description "Notepad++ Document", this is where Explorer picks it up from. If you simply set the value for Notepad++_file to empty and then ALL files will revert to generic descriptions, e.g. TXT file, PHP file etc. Not the answer you're looking for? Browse other questions tagged windows-8 notepad++ file-association or ask your own question. How do I set icons and description of file types associated with Notepad++? On OS X, how do you change a file's “Kind”? How does Notepad++ know to recognize the HTML and CSS in PHP files? Can I do this with PSP files? Associate SQL highlighting with file name infix in Notepad++? 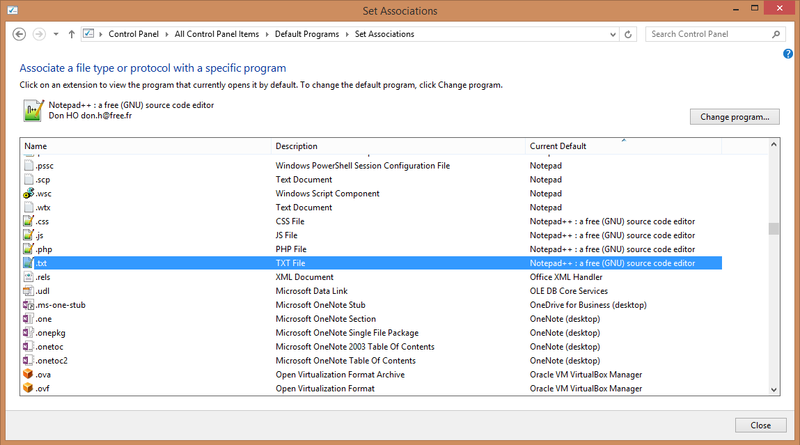 Where are Notepad++ configuration files?